The REB Secondary Commodity Markets Conference 2018 will take place on the 19 June 2018 at Robinsons Brewery in Stockport. This event is the leading conference in the sector that explores trends and developments in the recycling markets, and with the China situation taking its toll on the industry, it is vital to get that advantage. Major recycling and waste management companies attend this event, and by joining, you will find out their views on market conditions, and where they believe the market is headed. 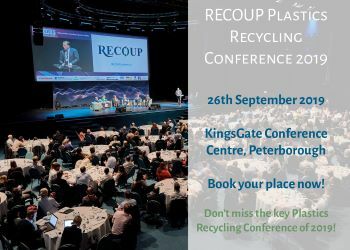 Experts within the industry will be covering topics including alternatives to China, what the potential is for the UK recycling sector and trends over the past year. Don’t miss out on learning this information ahead of time, especially with such an uncertain future for the recycling sector. If you book your tickets before the 27 April 2018, you will receive £50 off the standard ticket price, meaning you will get your ticket for £200. If you are an Intelligence subscriber, you will automatically get £75 each ticket booked. Please ensure you are logged in to get your discount.